emergency which have seen several individuals murdered, has been discovered unconscious. "Here is Umar who sells coconut and dead palm at Dullahi filling station Sabon Tasha Kaduna. I found him inside this wardrobe (below) when I went out this morning to check some facilities in a house at black street. 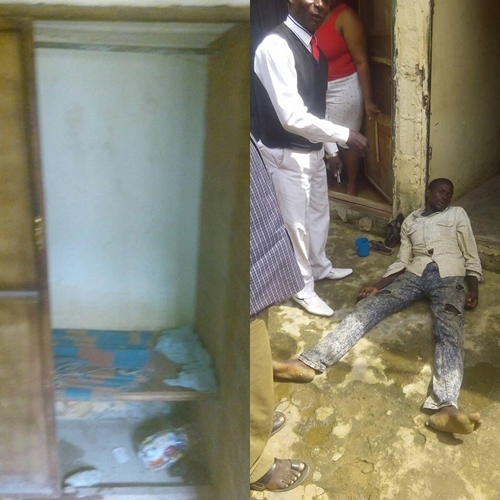 "He has been in this wardrobe since Sunday when the uproar stated, he ran into the house without the knowledge of the tenant in the house and went to this empty room where he hide himself for five days without taking food, no seeing the day light and doesn't know what was going on. "I picked him up, he was helpless and looking weak, he could not walk. 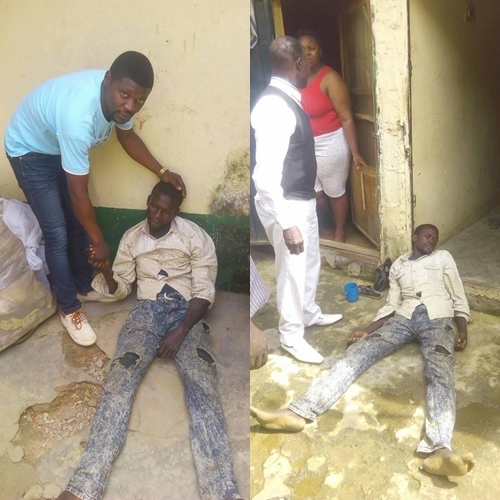 After regaining his consciousness and strength I called Alhaji Hassan a Fulani man who is a businessman in SABO metropolis who identify him and I handed him over to the security. "There is every need to live in peace with one another and to make Nigeria a better place for me and you. If we can convert all the strength we are using in fighting for the course of religion into national building, and if we can love our country the way we love our religion Nigeria by now would have been more than DUBAI..